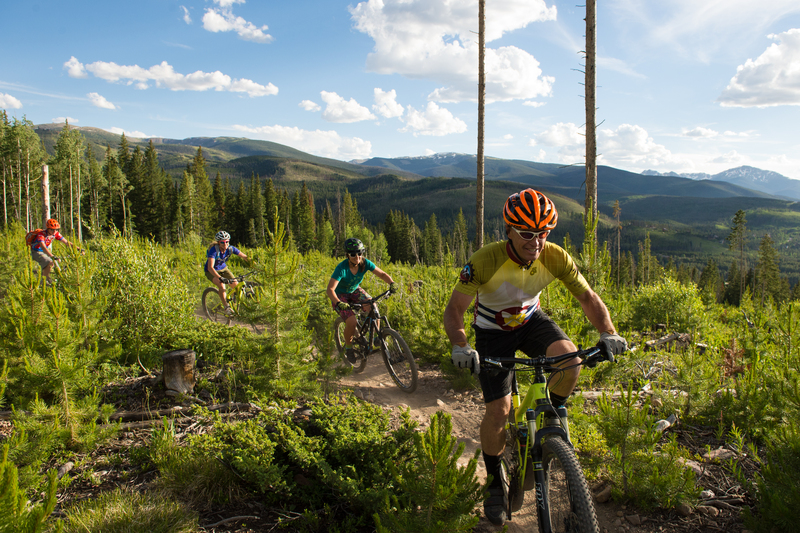 The Sunrise to Sunset Winter Park course race around the beautifully engineered trails on the Rendezvous Trail. The course is a 9.4 mile loop of flowy, playful trails with consistent terrain changes, short climbs and rewarding descents. The race will start at 7:00 a.m. on Saturday, August 10 and will end at 7:00 p.m. that evening. Walk-on registrations will be accepted. A pre-race briefing will be held at 6:45 a.m. at the start line. Ensure a safe and enjoyable Rendezvous hike or bike by observing a few simple precautions. Afternoon thunderstorms are a frequent summer occurrence along the mountains. In order to avoid lightening strikes, don’t be the tallest object around or stand under tall objects. Move to higher ground in the event of a flash flood. Rain gear can help prevent hypothermia, a drop in body temperature that can happen even in summertime. As people move into wildlife habitat, animal encounters occur more frequently. Click hereto learn more about how to deal with wildlife on the trail. Apply bug repellent with DEET (or a natural alternative) to clothing. “Leaves of three, let it be.” Wash the area thoroughly if you brush against poison ivy, poison oak or poison sumac.